In words attributed to Clint Smith of Thunder Ranch (http://www.thunderranchinc.com), “Guns are not meant to be comfortable; they are meant to be comforting.” The most common complaint we hear from folks who begin carrying handguns for defense is that it is uncomfortable. Well, yes, at first it is uncomfortable, but in the same way that a new pair of boots is “uncomfortable”, the handgun will “fit” if you persevere. Here are a few ideas that will help. First, a sturdy belt is a great help in distributing the load. There are many folks who make gun belts, but for the last two years, I’ve been using the 1.5” Wilderness Tactical Products Instructor belt. This belt has worked very well for me, but I must caution you that if you wear it with open front cover, people “in the know” will “make you” as a gun person. This happened to me twice when I first started wearing it. I have since gone to closed front cover, and to my knowledge, I have not been “made known” since. A sturdy leather work belt, made by Cahartt for example, will also support a handgun and I have also heard that Dickies’ work belts are up to the task. 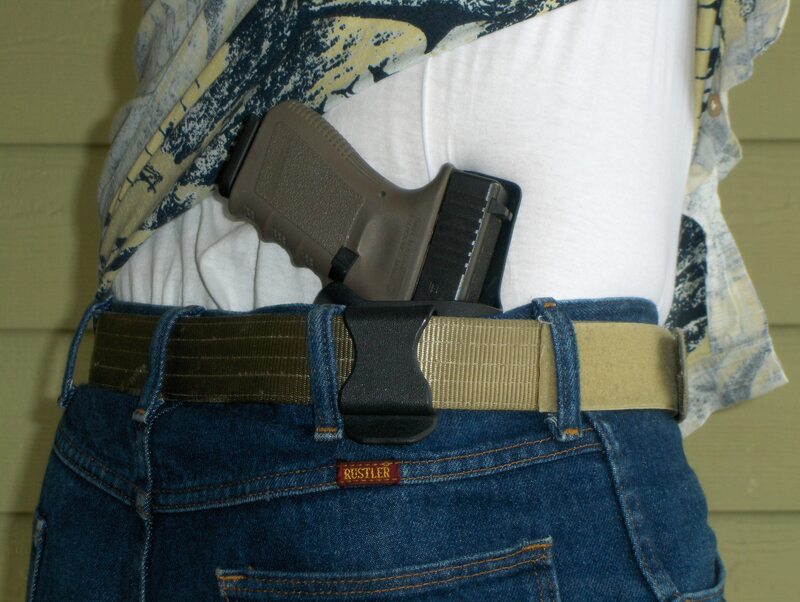 An inside the waistband holster works very well at smoothing out the bulge of the pistol.I like the Hideaway by High Noon Holsters, for my preferred carry method, forward of the hip (2 o’clock) carry. High Noon customer service is excellent. When one of the snaps broke on my Hideaway they sent me another immediately. In addition they had me return my broken strap for repair and sent it back to me as a back up. The staff was very friendly and fast. Please note the turnaround times on non-stocking items at High Noon can be long. A gentleman, whom I have trained with a couple of times, carries a full size S&W M&P in a CompTac Two O’Clock. He gave me the opportunity to try it for myself during a recent training event and I found it worked well. If I didn’t already own a High Noon, I would probably have skipped the seven month wait and gone with the CompTac Two O’Clock. 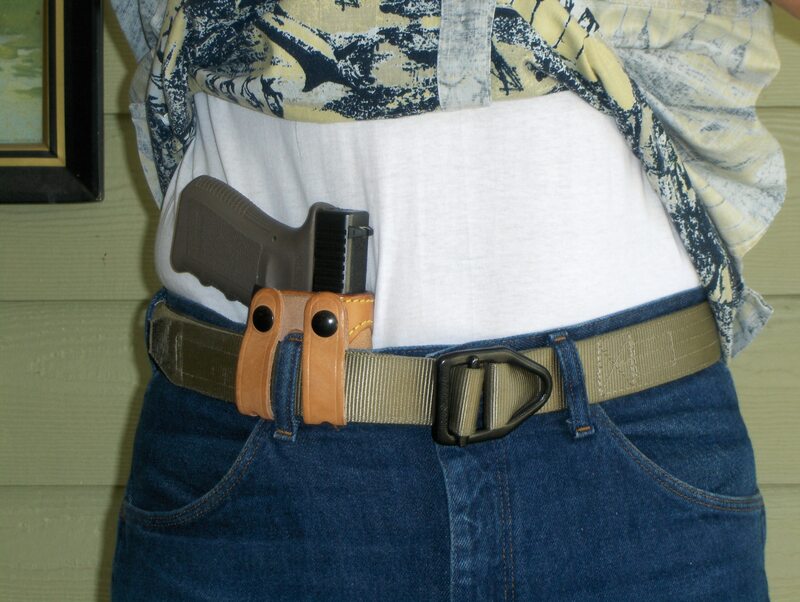 I also use the CompTac Pro Undercover for behind the hip (5 o’clock) carry. CompTac also has excellent customer service. I once had occasion to return a paddle holster to them because it was slipping on my belt. They were fast on the turnaround and took care of the problem with apologies. 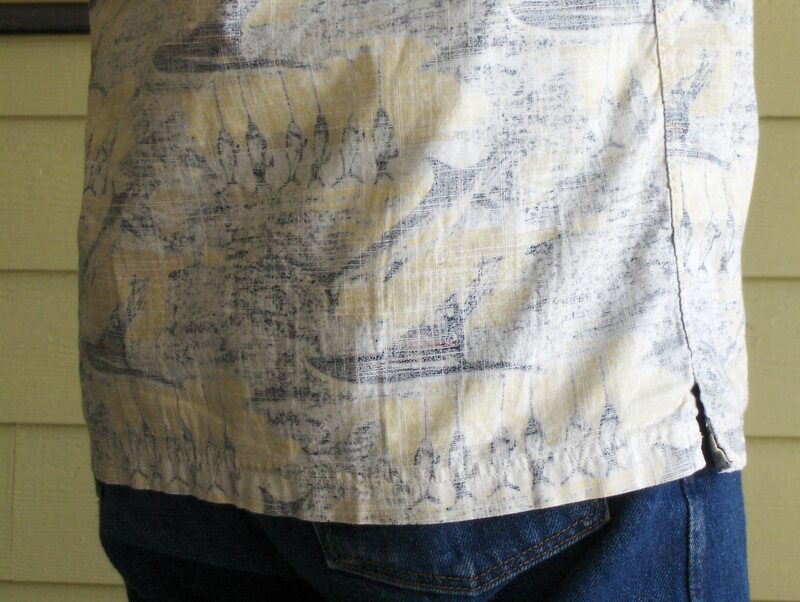 On cover garments, remember that one important goal in carrying concealed is that no one knows you’re carrying, right? Well if that isn’t one of your goals, it should be! So, avoid anything “tacticool”, like the cliché photo vest. There are a couple of local guys around who sport the photo vest. I can’t help but smile every time I see them. So, what should you wear? 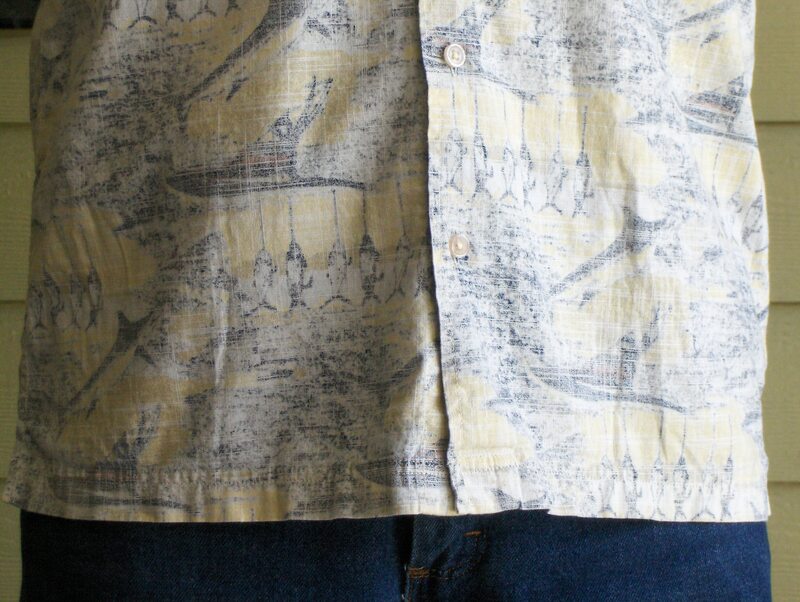 I suggest wearing everyday clothing in order to blend in and pass completely unnoticed. It may be necessary to purchase clothing one size larger than you normally wear. Check yourself in the mirror for printing and have your spouse or a friend check you too. Shirts with patterns as opposed to solid colors tend to conceal better. A previous student has opted to carry a Seecamp and another carries a Kel-Tec P-32. 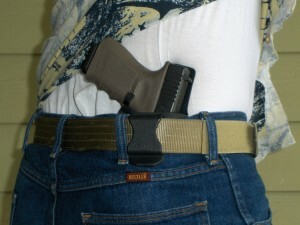 These pocket pistols are very convenient and work well carried in the front pocket of pleated style pants. I haven’t carried pocket pistols, but those that do insist on a pocket holster. The holster covers the trigger, eliminates printing and keeps the firearm free from lint etc. Just this week (mid May 2008) I obtained a Kahr PM9 at a steep NRA instructor discount. I felt it was a good opportunity to expand my knowledge of this type of defensive weapon with one of the best representatives of the genre in 9mm. After consulting with Glenn Matthews of Practical Defense Concepts, in Tyler, Texas, I ordered a pocket holster from Robert Mika. I am initially impressed with Mr. Mika because he called me at home within 5 minutes of me sending him an e-mail query. He answered my questions and I ordered immediately. I’ll post a review of his product later. This is by no means an exhaustive discussion of the valid ways to carry a handgun concealed on your person, but it represents what I have learned from folks I respect and what I have found that works for me. Remember, yuu are your own first line of defense. Stay alert and aware. You are currently browsing the archives for the Practical Concealed Carry category.